UCM Cleaning Services is a Lexington Based cleaning service provider that offers a wide variety of high quality cleaning service for the town of Lexington, Middlesex country and the entire Boston area. Upholstery cleaning for fabric chairs and sofa, leather furniture, mattress cleaning. Rug cleaning for orientals, Persians, wool, free pickup & delivery. Water damage & emergency flood Restoration for leaks, backups, floods, mold. Air Duct Cleaning for healthy clean indoor air free of dust and allergens. Window Cleaning for your curtains and drapes. Wood Floor cleaning & refinishing. Tile & Grout cleaning & resealing and many more! UCM Cleaning Services operates out of Lexington, MA and provides the entire area with top notch cleaning services. We've worked with many businesses and private customer in the birthplace of American liberty. We can provide solutions to all type of customers, industrial cleaning services for large spaces, commercial cleaning for your business, and of course residential cleaning at your home. We are equipped with the newest, best cleaning machines that provide you with cutting edge cleaning services, to get you the best results possible. We've been around for over 15 years now, which means that we know how to make our machines to good use for you, and make sure your house remains intact once we're done providing you with our services. Here at UCM Cleaning Services, We make no compromises regarding the health of our customers and their families. That's way we always use only Green, environmentally friendly cleaning solutions. That means your kids, your pets, and your house guests, are free to stay in your home during or right after our cleaning service is done. Did your kid paint all over your favorite chair? Juice spilled on your old beloved sofa? Your pet made a mass of your antique rug? We are just a phone call away! UCM Cleaning Services is very good at removing deep stains and odors from your carpets, rugs and of course your upholstery. Pet stains and odors, juice spills, food stains, Traffic patterns, we can take care of all of that for you and really rejuvenate your carpets and upholstery with our state of the art stain removal systems and products. And of course, as always, it will all be done using safe green products! 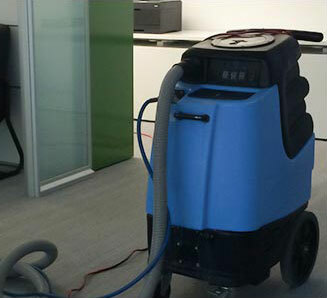 Carpet cleaning makes sure your carpets look as nice and clean as they can. That in itself is important enough, but there's more to it than just appearance! Our town of Lexington may be old, but it's not dusty, so there's no reason why your carpets should be dusty as well. Dust carries along with it several bad elements that are harmful to people suffering from asthma, allergies or other respiratory problems, such as pet hair & dander, pollens, dust mites and many other pathogens. Our industrial strength cleaning can completely rid your carpets of ingrained dust deposits that are stuck to its bottom and help you improve your health. We at UCM Cleaning Services feel privileged to be a service provider for the fine people of Lexington and Middlesex County. Our carpet cleaners are very customer service oriented, because for us, "we aim to please" is not just a motto, it's the way we do business, day in, day out. In our industry, long term success is founded on developing a long relationship with your customers, which is what we've been doing for over 15 years, and we feel like we're just getting started. Trust UCM Cleaning Services with all your cleaning needs. We're always here for you, 24/7, and offer same day service. Give us a call today at 339-970-5977 to find out about our current deals and combination cleaning packages. See you soon!